Christmas in our house is all about the wine, the dinners, the treats and the desserts. The last few days seem like a blur and I'm finding it so hard to keep track of the days. I have had such an amazing time catching up with old friends, lying around chatting with family, playing board games and of course the occasional sing-song......that's what Christmas is all about for me! We had a little gathering on St.Stephen's day so I wanted to make something sweet to accompany the canopies we were serving. I decided on a carrot cake, as it tends to be a hit with both young and old. 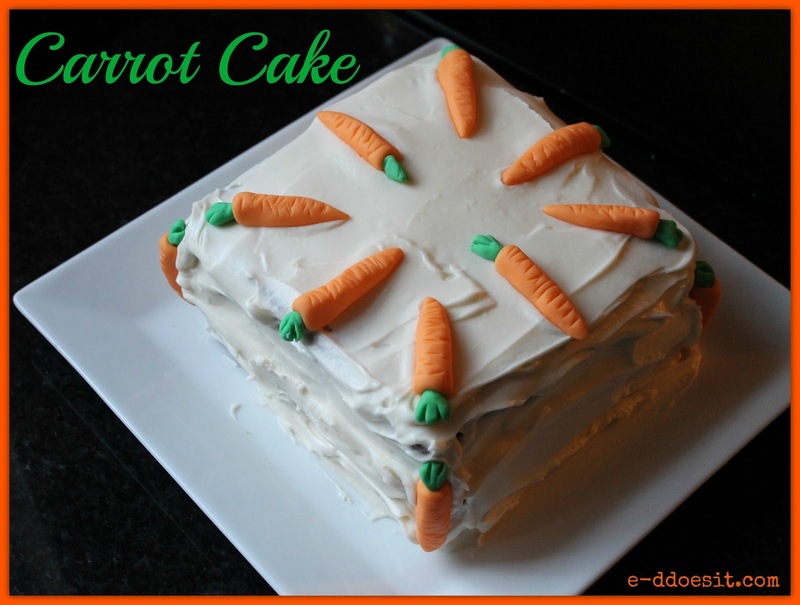 This recipe turned out a treat and the cake itself was really moist, with the perfect blend of flavours and textures. Carrot cakes generally contain walnuts, but this recipe is a nut free alternative. 1. Preheat the oven to 170C and grease and line a deep 18cm square tin (or round alternative). and mix together until well combined. 4. 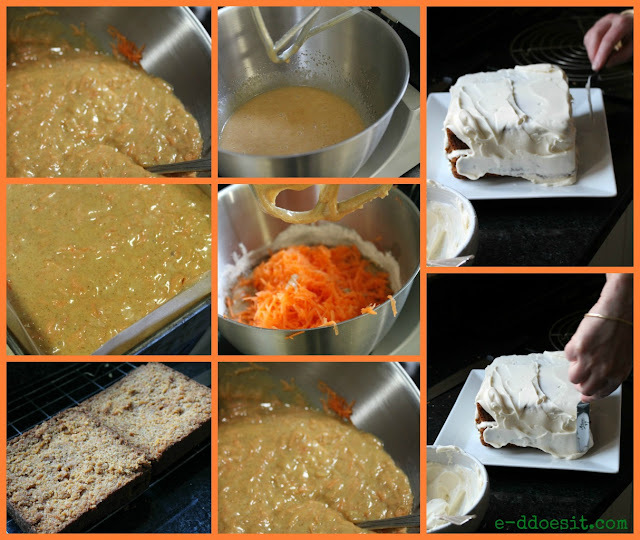 Finally stir in the carrot and pour the mixture into the prepared tin. the cake to cool slightly before turning out on a rack to cool completely. high speed for 4-5 minutes. I made some really cute carrots from fondant icing to decorate my carrot cake but these are of course optional. If you don't quite have that much time on your hands, why not use a few walnuts or pecans to decorate! You'll love it Marian, well worth the effort!